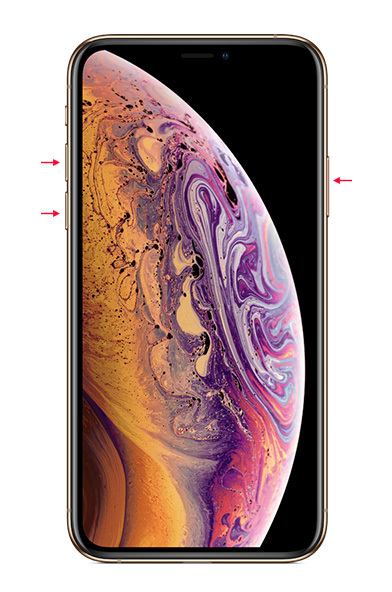 It has not been much of a time since Apple introduced its flagship iPhone XS and iPhone XS Max handsets. But, since they are machines, these iPhones have started showing problem. 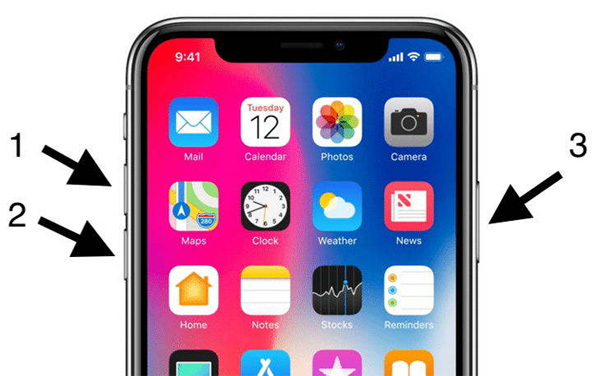 Recently, a number of users are posting a new issue that they are facing with their iPhone XS Max on the Apple forum. Users are complaining about their iPhone XS Max upper speaker not working. Users are claiming that their upper speaker stops working suddenly, leaving the iPhone work on a single speaker. This is something that the iPhone users aren't expecting. Well, if your iPhone XS Max ear speaker not working, we have some solutions that might come handy. But before we move on to these solutions, let us have a look as to why users face such issue. Part 1: Why iPhone Upper Speaker Not Working? If your iPhone XS Max top speaker not working, then these might the factors causing the issue. Software Problem: A software glitch might be something that can cause unimaginable issues. And your iPhone XS Max upper speaker becoming inactive can also be one of the outcomes due to software issue. This glitch can be present in the iOS itself or in one of the apps installed on the device. Hardware Problem: if you have mishandled your device, then this might lead to improper functioning of different hardware including the speaker. Hence, hardware damage (due to some or the other reasons) might be responsible for the users to face this issue. Now that you have a general idea of the reasons behind this issue, let us have a look on how to solve it. Below are some possible solutions that might come handy if your iPhone speaker is not working. Ring switch is nothing but the switch present above the volume buttons on the left side of the iPhone. This switch is used to turn the iPhone on and off on silent mode. Even though the switch is used to put the device on silent mode, it can have a great role if users are facing this issue. Debris in the ring switch might lead to upper speaker not working. Also, sometimes speakers do not work in silent mode. Hence, it is necessary to check the ring switch. This is one of the basic things that you can do to make sure your speaker is working fine. Sometimes, users turn down the volume and forget. This leads to low sound from the speakers. Hence, before moving on to a bigger solution, what is the harm in checking the volume? All you need to do is increase the volume using volume button or via Settings. Most of the times, when users complain about their iPhone XS Max earpiece speaker not working, it is because their device is stuck in headphone mode. Here, users see a headset or headphone icon and are not able to listen to kind of sound from speakers. Users will be able to hear sound with the help of headphones only in this situation. Most of the times, iPhone gets stuck in the headphone mode if there is debris present in the jack. The debris that remains in the headphone jack leads the phone to believe that headphone is still connected to the handset. Hence, you need to clean the headphone jack. Make sure to clean it properly so that you do not face any issue further. You can use a paper roll or an earbud to clean the headphone jack. If the issue is caused to software problem, then Tenorshare ReiBoot might come handy. This software can fix a dozen of problems related to the iPhone by repairing the system with a single click. All you need to do is follow the given below steps in order to solve the issue. If the issue is due to software glitch then restoring the device might be the final option to solve it. Here are the steps that need to be followed. Step 1: Open iTunes and connect your device to the computer. Step 2: Select your device when it appears in iTunes. Click on "Restore iPhone" option. The final solution to such issue is repairing the device's speaker. If the device is in warranty period, Apple might repair it free of cost. Do not try to repair on your own or from third party vendors. This might lead to end of the warranty of your device. Long story short, we just had a look on the top 6 solutions if to help you if your iPhone speaker not working after removing headphones. If the issue is caused due to software problems, it is better recommended to use Tenorshare ReiBoot to handle the situation.